← Read & Be Inspired! 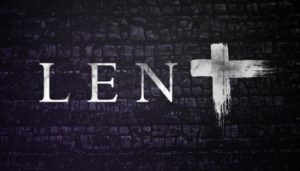 Parish Priest of Christ the King Catholic Church at Kurudu in Abuja, Reverend Father Francis Odigbo has called on Christians to make useful the gift of the lenten period to seek solemn repentance from sin and bear good fruits. 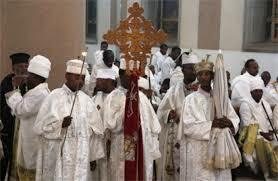 The Catholic Priest made the call on Sunday during his homily at Mass in Saint Joseph Mukasa Parish, Gidan Mangoro, Abuja. Odigo said quoting Luke 13:9, “then if the tree bears figs next year, so much the better, if not, then you can have it cut down. “We should seize the opportunity given by the Lent to turn back to God who is ever ready to forgive and accept us back.” He explained, adding that in spite of our sinful nature, God is always giving man the privilege to seek repentance of which such privilege should not be abused. The cleric called on Christians to turn from sin and bear fruits instead of exhibiting examples that are similar to that of the parable of the ‘Unfruitful Fig Tree’ in Luke 13:1-5 and verse 6-9 in the Bible. He described sinning as a total failure to bear good fruit, explaining that there are expectations from Christians to live upright and fruitful in the society as disciples of Christ. This entry was posted in Belief, Christianity, Faith, News and tagged Catholic Priest, Kurudu Abuja, Lent. Bookmark the permalink.